After nearly 30 years of publishing printed custom quick reference guides, Guest Communications Corporation (GCC) has launched the first electronic companion piece for the Guide to Emergency Preparedness™, My-EOP a mobile application that allows users to access their organizations custom emergency operations plan, and other information, through their mobile phone. My-EOP is a mobile application, designed as a perfect complement to the Guide to Emergency Preparedness. 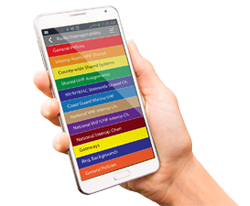 My-EOP allows you to share your custom Emergency Response and Preparedness plan(s) with your staff through their mobile devices. Once the application and plan is installed your staff will have access to key information even at times when cellular connectivity is not available. 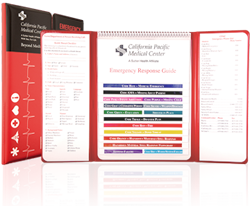 My-EOP also includes a built in Contact List that allows you to ensure that each staff member has the correct contact information for people key to your emergency response plan. 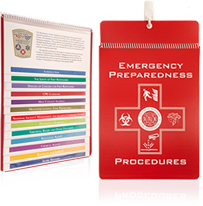 My-EOP was created by GCC as a complementary piece to the Guide to Emergency Preparedness™. GCC is a publishing company specializing in custom quick reference information directories in a tiered (flip-chart) format. The primary features of our product line are quality, durability and update-ability. My-EOP is custom. The app allows organizations to share their custom information with their team members. My-EOP works, even if cell and internet service is unavailable! Once a plan is accessed through the app the plan documents are stored on the device, allowing the user access to the contents even at times when cellular connectivity is lost. My-EOP is quick and easy to use, and ensures everyone has the RIGHT information. 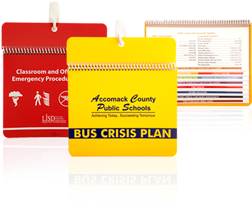 The plan documents within the app are formatted to read like a flip-chart, making it very easy for users to quickly find the information they need. Contacts are stored within the app ensuring that all users have access to the same key contacts, and that they have the accurate, most up-to-date contact information on hand. My-EOP is easily updated. Keeping the content updated within the app is quick and easy. When updates are needed they can be submitted back to GCC and the edits will be incorporated into the organization's plan(s). The revised contents are then published for all users. Each time the user accesses the file when they have connectivity My-EOP checks to ensure they have the latest version of the contents and updates the documents as needed. My-EOP is secure. The application offers two user authentication points, ensuring that the contents are only accessible to those who are authorized to download it. 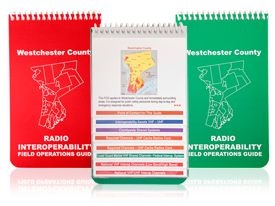 Common contents shared through My-EOP include: emergency operations plans, continuity plans, radio interoperability information and emergency response plan(s). My-EOP was designed for use on Apple and Android mobile phones. It can also be used on Apple and Android tablets. The application is compatible with over 97% of all android and apple software versions. My-EOP allows users to access your plan(s) through their mobile phones. Your organization will provide the contents for the application to Guest Communications Corporation (GCC). GCC will then layout each individual page of the application, adding in functionality including one-touch dialing and hyperlinks to maps or websites. You will have a chance to review and edit the application contents and upon your final approval we will publish your application. How is the application installed/accessed – how does a new subscriber or user get signed up? My-EOP is a free application that is available to all through Google Play and iTunes in the App Store. Once My-EOP is installed on a device, the user can access your plan(s) through the application. Selected plan(s) can be downloaded to the device and viewed through My-EOP. Is my information secure through My-EOP? How do we control who downloads our contents? My-EOP is designed to ensure your content is only accessible to those you want to make it accessible to. We offer a two step authentication process. First, you will be able to choose a code or name for your plan(s). When a user installs MY-EOP they will need to know this code to locate your content. The second step in the authentication process occurs when the user has located your file and selects the file for download. At this point you may opt to require a password to begin the download process. If security of the content is of concern for your organization we recommend that you also encourage all your users to use security features on their phone, such as a password, to get access to the device. How does the app work when cellular connectivity is down or limited? When cellular connectivity is down or limited the plan stored on the device will be opened immediately. The full contents will be available. The only difference users will notice is that without cellular connectivity the hyperlinks will not work. My-EOP is designed to be easy to update and maintain. When changes are needed you simply advise us and we'll incorporate your edits into the plan. Upon your final approval of the edits we will release the updated content to all your users. The next time the application is opened, while the user has cellular connectivity, the user will be asked if they wish to update the content. If they click update, the plan will be downloaded with the new information. If they do not wish to update the content they can simply click open to enter the plan. My-EOP was designed for use on Apple and Android mobile phones. It can also be used on Apple and Android tablets. The application is compatible with over 97% of all android and apple software versions. For more specific information on the software versions the app works with please contact us at 800-637-8525.